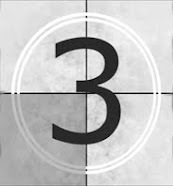 PREVIEW: More from "A Trio of Irish Tales II"
The pub was full to bursting this night; alive with energetically familiar greetings, merry introductions, and the scraping of sturdy wooden chairs on the well-worn floor. Micheal Flynn, usually a reserved man, was vigorously weaving through the filled tables talking to people as he went, trying to find a place for the three of them close to the tiny stage in the corner. Pat didn’t understand it. His father was never pushy, but tonight he was actively negotiating to get a prime spot close to the entertainment. “What’s Da up to?” Pat asked. Pat looked at her like she’d grown another head. She rarely let Da just go off and do what he pleased without her approval. He suspected that she knew why he wanted them up front, but wasn’t about to tell. He was about to ask outright what was going on, when his attention swerved violently in another direction. Behind his Mum he saw Daimhim Finnegan. She caught his gaze and smiled shyly. Pat felt himself blush and, had he been speaking, he would have surely been stammering. He returned the smile nervously and then looked elsewhere – anywhere! 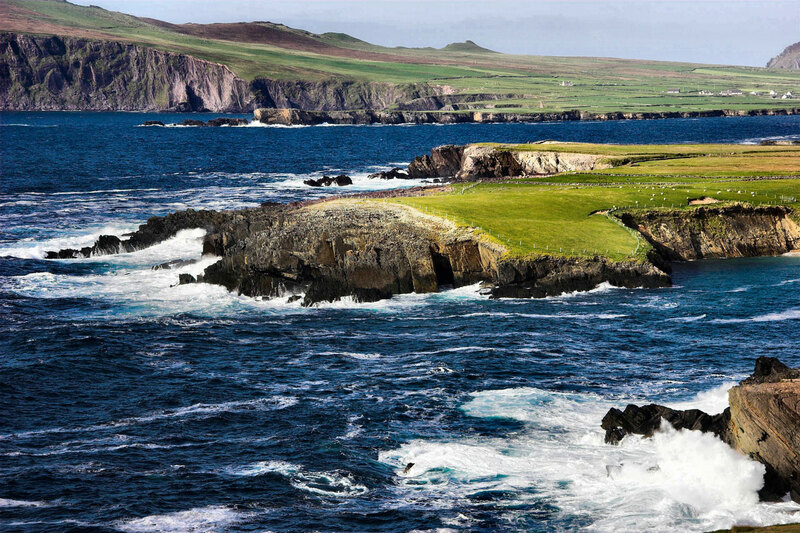 They had been part of the same crowd of kids who had grown up together there on the Munster shore. Pat had always been struck by her loveliness; even back when they had all been young children he’d felt drawn to her. She wasn’t loud, she never flirted, but she had a quiet strength that he found appealing and comforting. He noticed how she always made certain that people were taken care of. A few years older than himself, she had become his ideal: the standard by which he measured all other girls. Last year she’d started going out with James O’Brien, which had seemed to put her out of Pat’s reach forever. Big, bold, popular James, who everyone flocked to, including Pat, seemed an unlikely partnering for the modest Daimhim. Even though something had happened to that relationship in the last few weeks, Pat didn’t dare foster any hope for himself with herself. The Mirror, the Photo, or Me? I’ve noticed that there are several different "me" images that I perceive. There is the me that I see in the mirror. Thanks to some of the consciousness-raising mentioned above, that image is one that I increasingly love. Honestly, it is more beautiful now than ever. 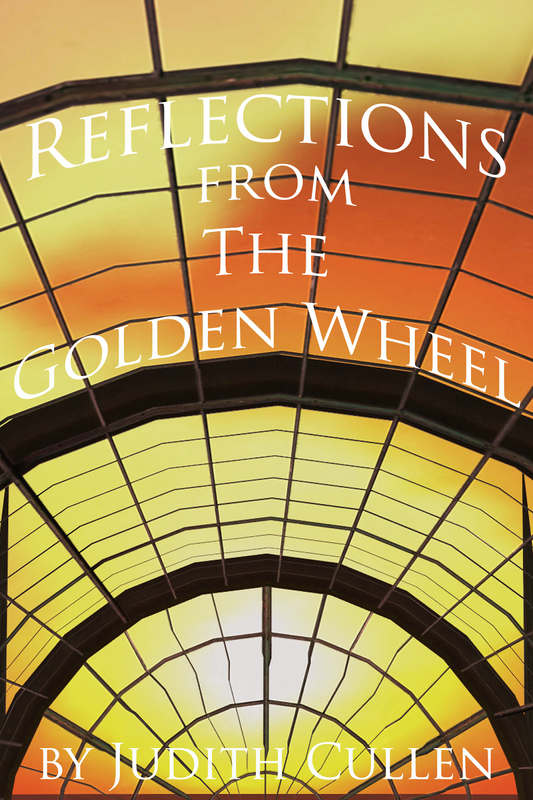 The years, the miles, the joys, the heart aches – they are all reflected back to me. No matter the frustrations of the moment, the doubts or uncertainty, the sum of these happenstances equals something lovely. This me has terrific friends, had some great luck, had some challenges that were worth over-coming, and stands to expect more of the same in a future that still holds a lot of possibilities. This me is very pretty. I like her. 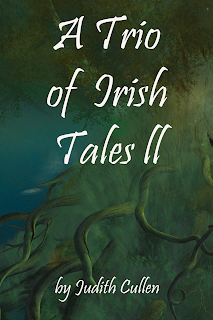 A PREVIEW of "A Trio of Irish Tales II"
It's about time to begin tempting you with tidbits from November's release. Already I am busting with pride: these stories are some of the best and most complex that I have ever written. 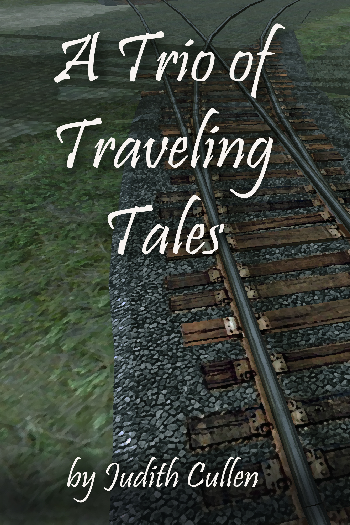 Over the next few week's, I'll be sharing selections from Patrick's Path - the first of the trio of tales in this volume. 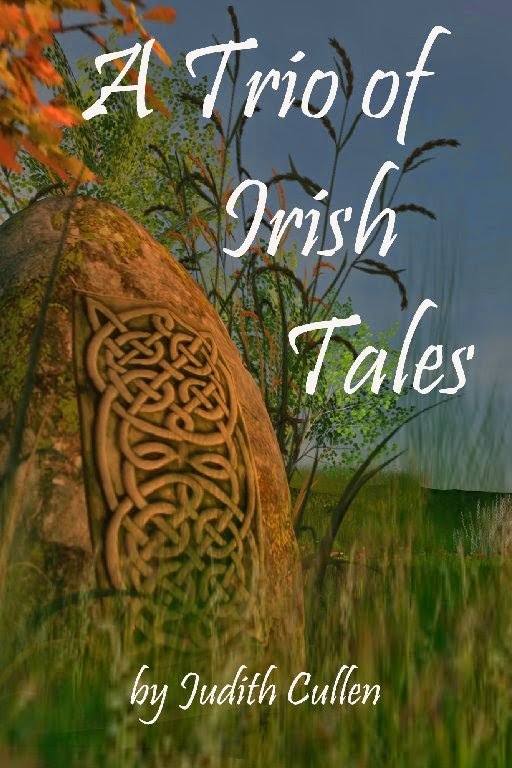 "Patrick's Path" features Pat Flynn from A Trio of Irish Tales' "In the Mists." Pat is 24 now and he's tired of always walking in everyone's wake - following along behind. He wants to find something that he is passionate about; something that he can claim as his very own. He also wouldn't mind catching the eye of Daimhin Finnegan. Pat tried to loose his frustrations with the stone as it flew from his hand, making a proper splash into the sea about thirty feet away. 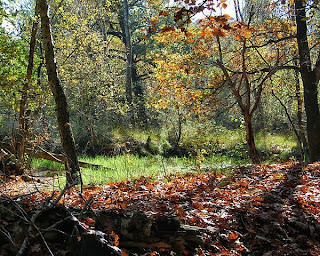 He looked down, assessing the rocks and shells at his feet and choosing another stone that felt right. Tossing and catching it several times with his sand-gritted palm, he leaned back and let this stone fly with the same emotional propulsion, watching it drop into the serenely lapping waves. 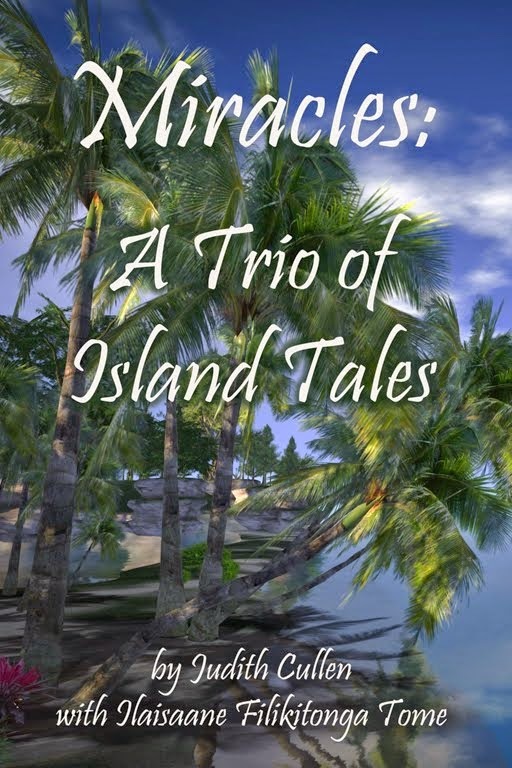 The ripples the rocks made in the gentle surf did nothing to reduce Pat’s disquiet. He pondered another stone. He was sick and tired of always being the one following behind; always being the best friend, the side-kick. It had been this way all of his life. It wasn’t that Pat wanted to be popular. He was an honest soul and well liked, he knew that just as he knew that everyone gets a bit of attention at one time or another. He didn’t want more friends or more glory. Pat didn’t crave the spotlight or the admiration of others; he just wanted to stop feeling like an “also-ran”; like an extra bit of nothing-in-particular hanging around for everyone’s convenience. He wanted to have one thing that was his: something he was good at, a source of pride that was his own. He kicked his boots into the sand and rocks of the shore. Choosing another stone, he hurled it with all his might. He tried to concentrate all his dissatisfaction into it: the times he’d followed someone else’s lead, done what he was bidden to do, every instant that he’d trailed behind compressed into that one missile. He threw it so hard he spun himself off balance, almost falling. The rock plopped into the water so far away that he couldn’t even hear it break the surface. NEW ESSAY: "The Parable of the Peach Seed"
Life sometimes teaches you in small, subtle ways. If you aren’t paying attention you miss the larger lessons. I am in the habit of having a piece of fruit in the evenings. It helps ward off late night cravings. For some reason my evening impulses run to sweets. My 9 pm plum of is a healthy way to stave off a 2 am ice cream binge. 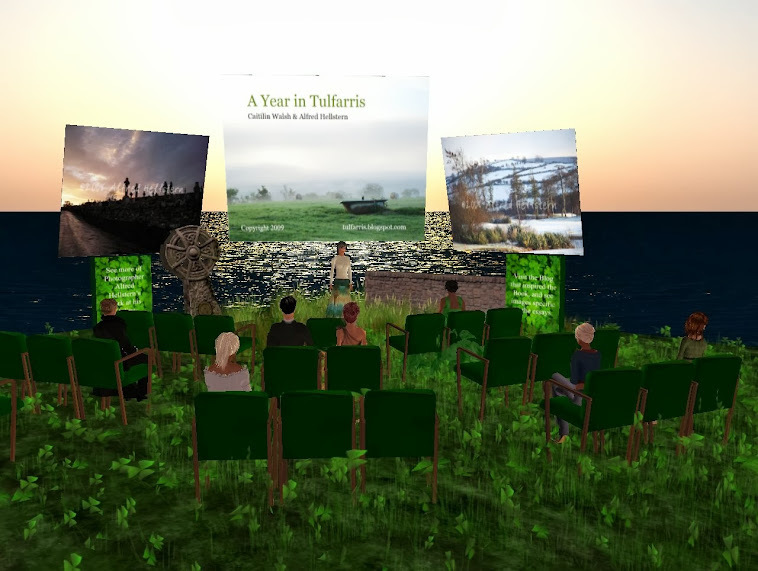 Welcome, as the 2015 Art-Inspired Stories Project Continues! I was excited when the Peninsula Art League contacted me about bringing the Art Inspired Stories Project to their Annual Open Show. I was asked to create ten stories or poems based on works in the show. 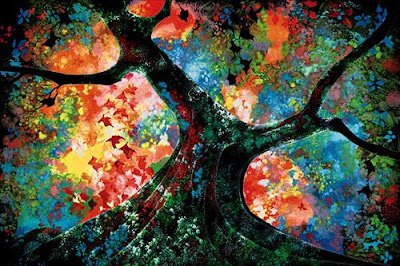 I requested a little flexibility as writing (like painting, drawing, or any other creative endeavor) does not always come out neatly to order. Twenty one works were photographed from the show, and narrowed down to twelve stories and poems. I even allowed myself a little free-verse this time as it seemed to fit some of the artwork best. All the work submitted was excellent and merit-worthy. 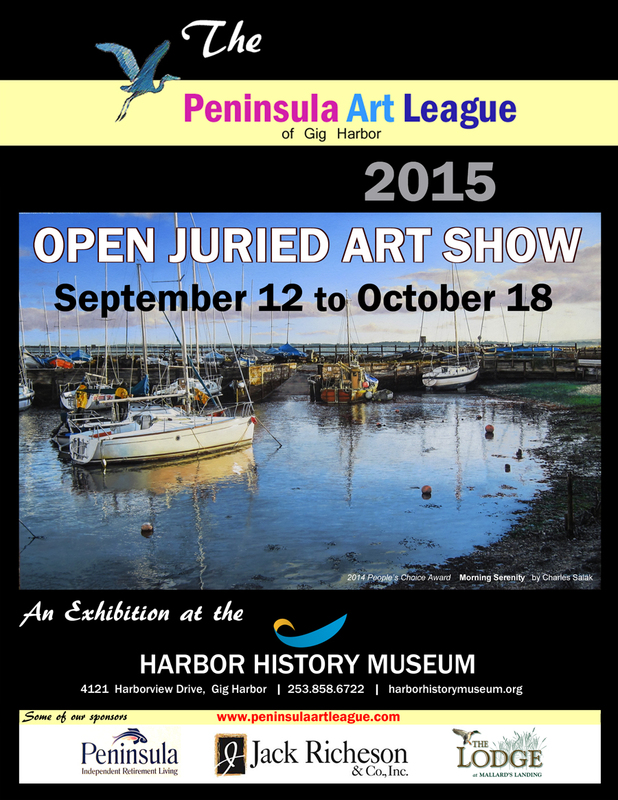 It’s really worth stopping by the Harbor History Museum to see the exhibition. 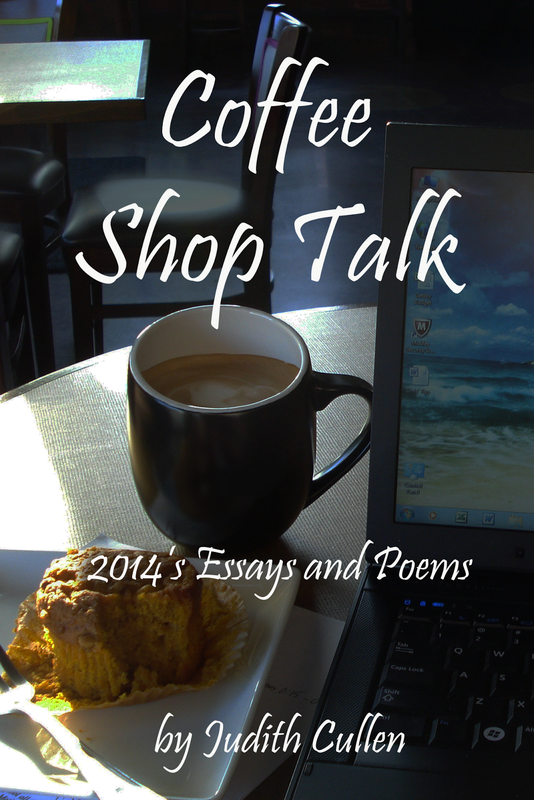 The choices reflected in the pieces I have written are not qualitative. I could not possibly organize and write stories for the entire show in less than a week. So here are some of the criteria I used in making choices when I viewed the show and photographed the artworks to develop. Works whose narrative is already strong - why restate something that is already clear? I tried to strike a balance the general themes of the stories (funny, sweet, contemplative, etc) and the various mediums and styles. 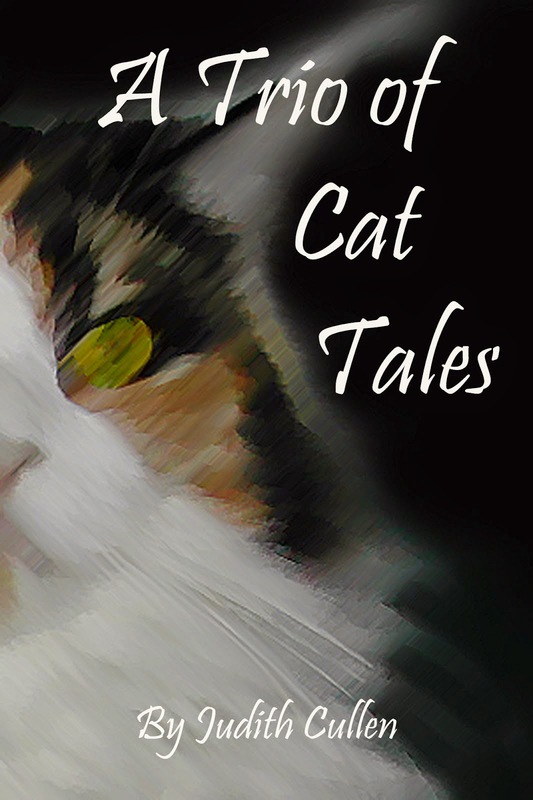 I am very pleased with these stories, and I hope that you enjoy them as well. I poured another tall one into the mug. 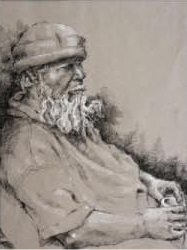 It sat in his hand the same comfortable way that he wore his clothes - like old friends. “What do you think about most?” I asked. He sipped slowly, relishing the taste before swallowing. His head tilted, considering. 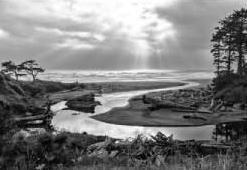 The air was sea-salt crisp as I stood there, alone and enrapt by line and motion. The progression repeated itself from the hand of an unseen sculptor. Did they stand back, the artist of everlastingness, checking the horizon, vanishing lines, and the angling light? 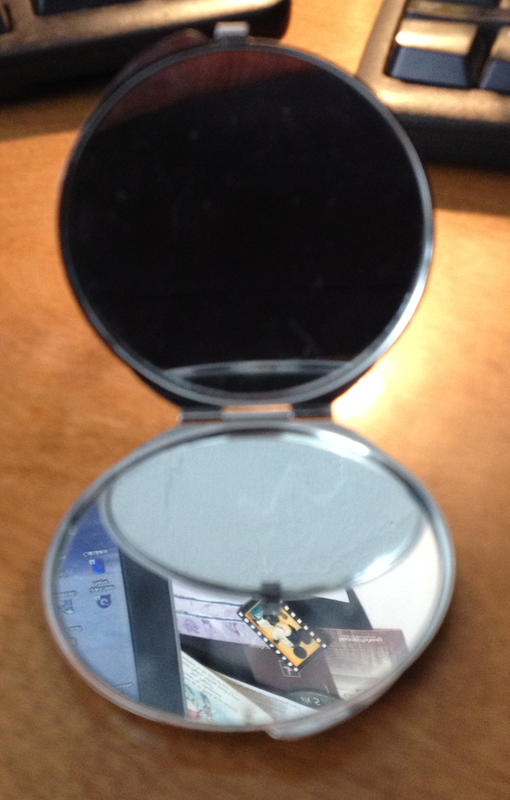 A little adjustment here, a little molding there, a shifting of pattern before the final chisel cut reverberated away? Then the final moment of satisfaction before the hand washed over it all, casually perhaps, to set it into eternal motion. Yep! It is in the air - in a kaleidoscope of different ways. Even in lives. It seems like there are so many deaths and new births going on around me right now. This is the most marked transition in the year. I am feeling it both profoundly and joyously. Trees tipped school bus yellow. Check the game schedule days. Music lesson, State Fair days. the cold, short, and frosted. For the return to green and warm. I am dedicating this to all the lives around me who have taken the step into the next great unknown, and to all those joyously welcomed into this mystery. 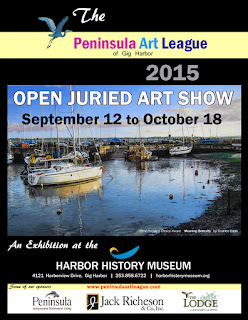 I have been invited by the Peninsula Art League to bring the Art Inspired Story Project to their Fall Art Show! I was just there today, taking snaps of the artwork and sharpening my pencil. It is a wonderful show and the venue is really great. 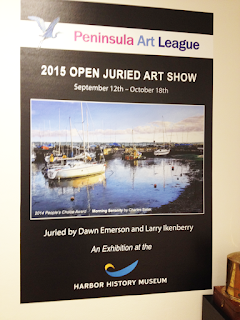 AND THEN, Check back here this Saturday after 9 pm (Pacific) to see the Project Stories from the Peninsula Art Leagues 13th Annual Juried Art Show. 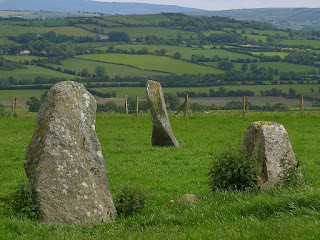 I am pleased to welcome a guest posting today: my sister, Maura Cullen. Way back in the spring I posted Journeys of Triumph and Adversity making sense of the NFL Post Season as the designated sports fan enabler in a family of fans. My sister also took to writing to express her thoughts and feelings about the Seattle Seahawk's (our local team) near epic loss at the Super Bowl. Now here we are, and the season is about to officially begin. There's been all sorts of little dramas along the way - I tell you, professional sports is great theater! With the Hawks first official game coming this next Sunday, it's not a bad time to revisit why we become attached to certain teams, and why we remain loyal to them. This essay is written from the perspective of a Seattle fan, but in many ways it reflects how true fans feel about their teams, anywhere. NOTE: She refers to people "faithfully donning Seahawks gear every Friday" which is a phenomena around these parts known as Blue Friday. I was in a local grocery last Friday and they weren't just pushing wearable gear. You could get blue cupcakes, blue bouquets for your sweetheart. It's a little hard to ignore and yes, I admit it: I have started reading the sports page again. I suppose that it is an occupational hazard for one who has made a career in the social sciences to be constantly fascinated by human behavior. I have been a practicing school psychologist since 1984 and I still find myself in awe and wonderment as to why people, especially groups of people, do what they do. 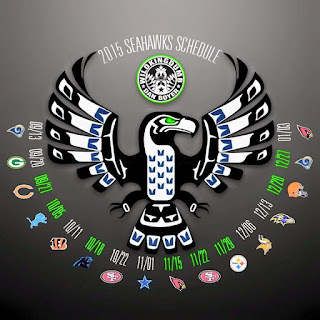 Now that football season is over until at least mid-summer, I find myself reflecting on the whole phenomenon of the “12’s.” Why do the people of the Northwest (and beyond, actually) have such a love affair with the Seahawks? 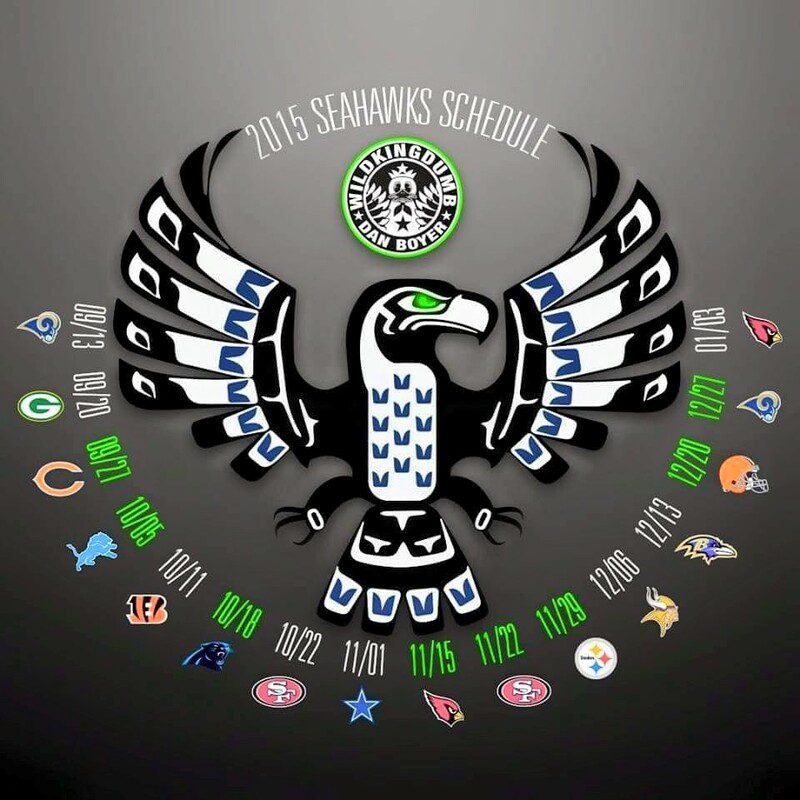 How did an entire region become motivated to faithfully don Seahawks gear every Friday? Why has Century Link Field become such a dreaded place for other teams to play? Why have Skittles practically become the new state candy? 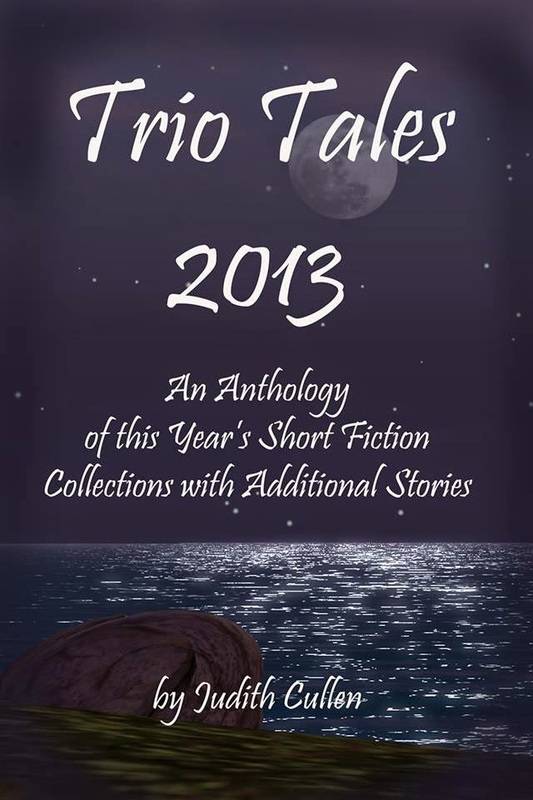 2013's A Trio of Irish Tales is by far my best selling collection, ever. 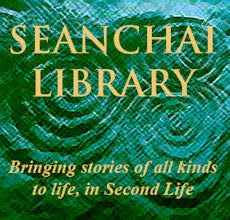 Finally, the much promised second volume of stories is heading for completion and will be released in plenty of time for the holidays. "Patrick's Path" features Pat Flynn from "In the Mists." Pat is 24 now and he's tired of always walking in everyone's wake - following along behind. He wants to find something that he is passionate about; something that he can claim as his very own. He also wouldn't mind catching the eye of Daimhin Finnegan. 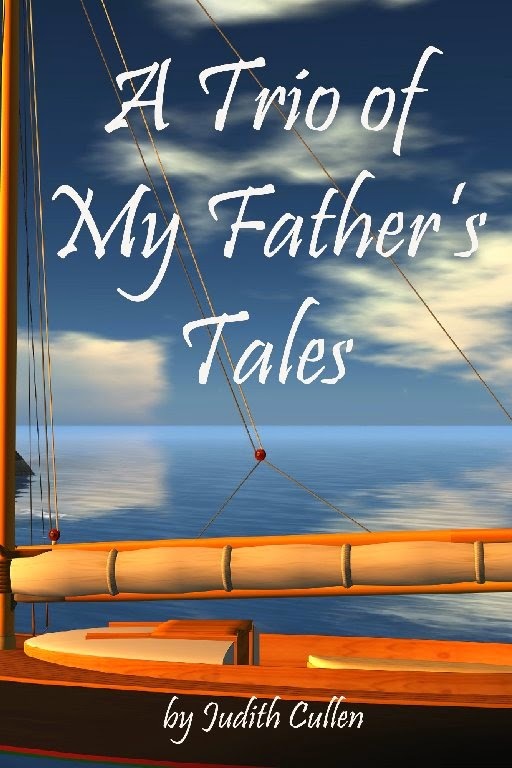 More stories, more adventure, history, romance and mythology. 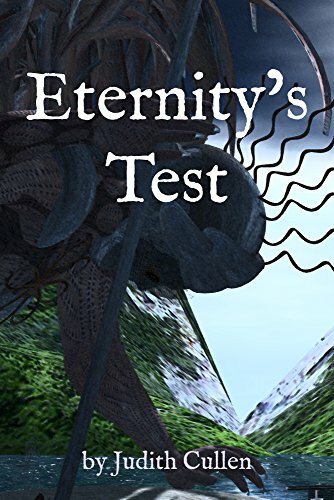 Three modern tales steeped in the lore of an ancient land. 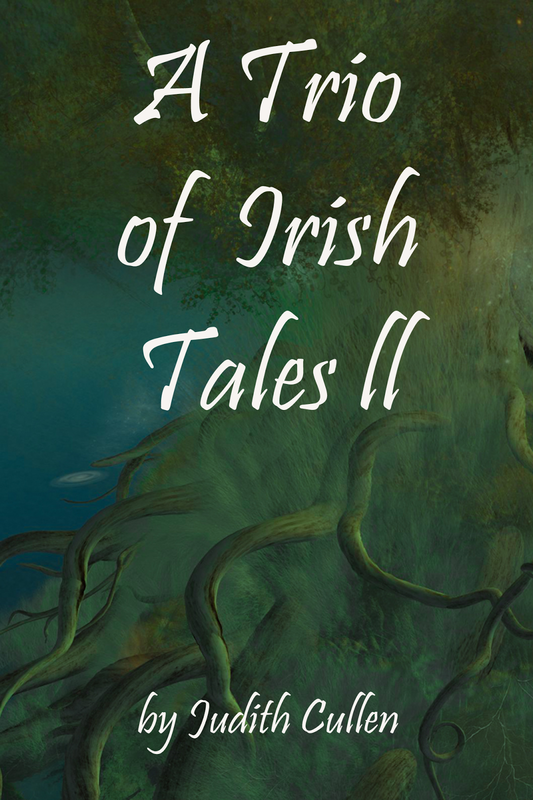 A Trio of Irish Tales II will call to your Celtic soul, even if you never thought you had one. 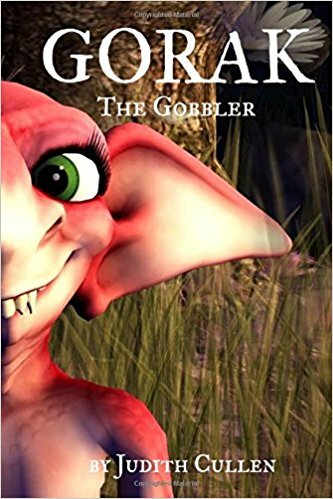 Coming to Amazon for Kindle and in Paperback. Join my new Stories by Judith Cullen mailing list to get special email pre-release updates and news of events!